Acton property prices fell by an average of 4% in 2018 according to figures released by the Land Registry. The optimism about the area driven by Crossrail seems to have slowly dissipated as the project is further delayed and Brexit uncertainty continued to weigh heavily. 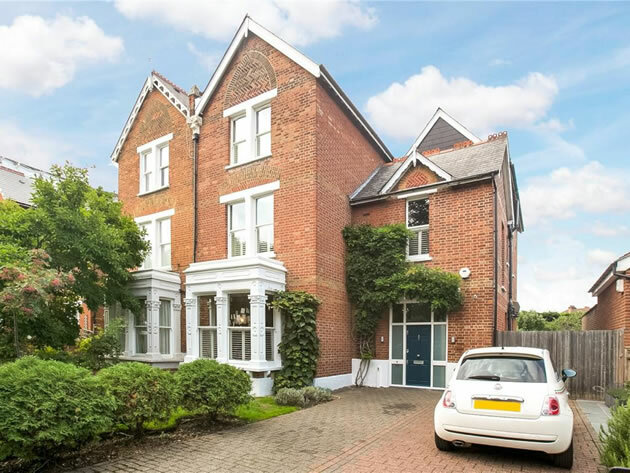 This has hit demand for flats both in the primary and secondary market although the average price of this kind of property seems to have stabilised around the £400,000 level in the W3 postcode area. A local agent said, "Crossrail is still going to happen but we have clients who bought property here a few years ago in the expectation of being able to use it to get to work by now. It is harder to convince people today that they can believe the current timetable for opening." Overall the average price in the fourth quarter of 2018 was £594,694 boosted by a number of high priced sales of family houses. Four houses in Shaa Road were sold for over £2,000,000 towards the end of last year including the property originally reported as selling for £6,200,000 by the Land Registry, the price of which has now been corrected to £2,600,000. Granta Court, Trinity Way, the development of flats close to the A40 off East Acton Lane continues to be the only one in the area generating significant sales with ten units being reported as sold to the Land Registry in the fourth quarter. It has been suggested to us that the flats sold so far are the ones with the better views pointing away from the main road and many of the remaining units will be difficult to sell in the current market. One local property expert commented, "My view is that many of the developments being marketed at the moment are overpriced and much better value exists in the secondary market. Units in developments like Bromyard House are under priced relative to the new builds and will probably deliver a significant capital gain if we avoid a no deal Brexit "
The Bank of England’s Agents’ summary of business conditions for 2018 Q4 reported that along with low supply of houses, demand was also falling. Housing activity in southern England was muted due to uncertainty, with transactions postponed until after the EU withdrawal. The demand for new build houses remained stronger outside London, in part due to house builders offering more incentive to finalise sales. There are regular updates on the local property market in the ActonW3.com newsletter. To register to receive it click here.